Engine has been professionally serviced annually. The 233 is a fantastic day boat, easily pulling up a mono-ski, yet also manages to afford loads of space for entertaining guests... This example has been lightly used, and the engine professionally serviced annually, and flushed and dry-stored over winter. Extensive work on the engines over winter 2018/9. There are options on a summer mooring, and winter storage also. Price reduction as owner motivated to sell! These boat details are subject to contract. 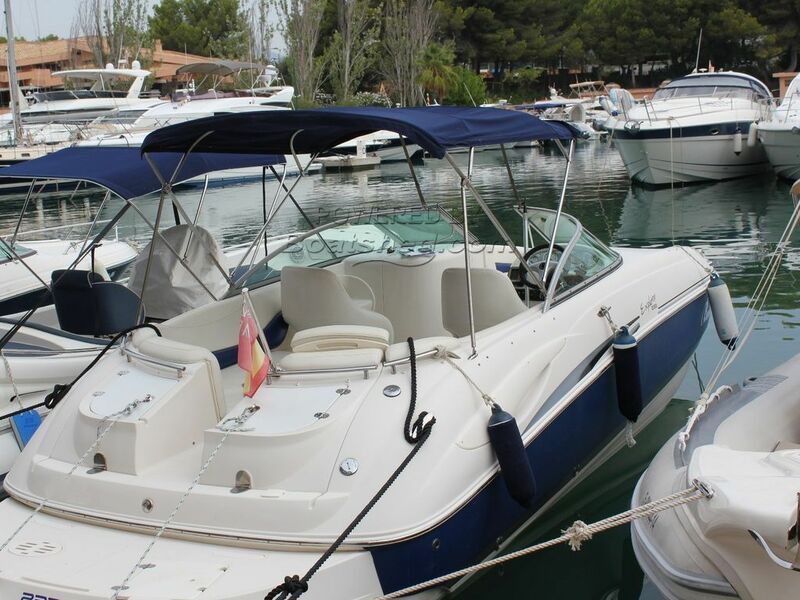 This Monterey 233 Explorer has been personally photographed and viewed by Rory Gillard of Boatshed Palma. Click here for contact details.